In addition to Ol�rin (Gandalf) and Curumo (Saruman), there were three other wizards sent to Middle-earth by the Valar. These three were Aiwendil (Radagast), Alatar, and Pallando. For Radagast, the fourth, became enamoured of the many beasts and birds that dwelt in Middle-earth, and forsook Elves and Men, and spent his days among the wild creatures. Thus he got his name (which is in the tongue of Numenor of old, and signifies, it is said, "tender of beasts"). Radagast is presented as a person of much less power and wisdom [than are Saruman and Gandalf]. Radagast the Brown dwelt in his home of Rhosgobel on the outskirts of Mirkwood between the Old Forest Road and the Carrock, at least for a time. Here, he tended to the animals of the area. When Bilbo, Gandalf, and Thorin's company of dwarves are about to pass through Mirkwood, they meet Beorn. Gandalf, wishing to make a friend of Beorn, makes a reference to Radagast, calling him his cousin. Beorn is familiar with Radagast and proceeds to give Gandalf and his followers quarter. The only other time Radagast comes into the tales is when we're given his name in The Silmarillion and when he unknowingly lures Gandalf into Saruman's trap when he rides to tell him news of the Nazg�l being abroad. "I am a wizard," continued Gandalf. "I have heard of you, if you have not heard of me; but perhaps you have heard of my good cousin Radagast who lives near the Southern borders of Mirkwood?" "Yes; not a bad fellow as wizards go, I believe. I used to see him now and again," said Beorn. "Well, now I know who you are, or who you say you are. What do you want?" Of the other two, we are given far less information. They're given the names Alatar and Pallando in Unfinished Tales, though it's possible that these weren't names, but titles, given due to their lack of names. Because they spent no time in the northwest of Middle-earth, they are not given names there like Gandalf had been given. Together they are referred to as Ithryn Luin, meaning "blue wizards" because they were clad in sea-blue robes. Pallando, despite the spelling, perhaps contains palan "afar", as in palantir and in Pallaran "Far Wanderer," the name of Aldarion's ship. In The Peoples of Middle-earth, Christopher Tolkien informs us of another note Tolkien made on the blue wizards, this time naming them "Morinehtar and Romestamo." Tolkien gives both of these names meanings: "Darkness-slayer and East-helper." I think they went as emissaries to distant regions, East and South, far out of Numenorean range: missionaries to enemy-occupied lands, as it were. What success they had I do not know; but I fear that they failed, as Saruman did, though doubtless in different ways; and I suspect they were founders or beginners of secret cults and 'magic' traditions that outlasted the fall of Sauron. 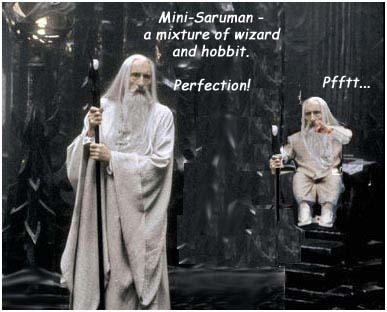 The other two are only known to (have) exist(ed) [sic] by Saruman, Gandalf, and Radagast, and Saruman in his wrath mentioning five was letting out a piece of private information. The 'other two' came much earlier, at the same time probably as Glorfindel, when matters became very dangerous in the Second Age. Glorfindel was sent to aid Elrond and was (though not yet said) pre-eminent in the war in Eriador. But the other two Istari were sent for a different purpose. Morinehtar and Romestamo. Darkness-slayer and East-helper. Their task was to circumvent Sauron: to bring help to the few tribes of Men that had rebelled from Melkor-worship, to stir up rebellion ... and after his first fall to search out his hiding (in which they failed) and to cause [? dissension and disarray] among the dark East ... They must have had very great influence on the history of the Second Age and Third Age in weakening and disarraying the forces of East ... who would both in the Second Age and Third Age otherwise have ... outnumbered the West. These ideas from HoME XII were abandoned, apparently, as we see Tolkien state that "Indeed, of all the Istari, one only remained faithful." This 'one' being Gandalf, obviously, meaning Alatar/Pallando weren't successful in whatever they did out there. This statement also negates the theory of there being more than five Istari. Did Radagast, Alatar, and Pallando go to Valinor? We're not told either way. Of the three, Radagast seems the most likely, but it seems certain that all three would have returned to Valinor at some point, unless they were as naughty as Curumo.